Break-ups are draining and challenging – but they don't have to break you. Walking away from a meaningful relationship is always going to be difficult. When it wasn’t your decision, a break-up can be even harder. If you’ve ever been through a break-up, you’ll know it took a while to feel like yourself again. It’s one of the most traumatic things that can happen in our adult lives — but we still embark on new relationships, because the pay-off is worth it despite the risks. When something threatens our connections, primal feelings can fire up, and a break up can feel so devastating thanks to how we’re wired both biologically and psychologically. Here are 14 reasons it’s so hard to let go, even if the relationship was totally wrong for you in the first place. Put simply, one of the main reasons you’re not letting go of a past relationship is because you’re lonely right now, said Erika Ettin, a relationship coach and founder of A Little Nudge. 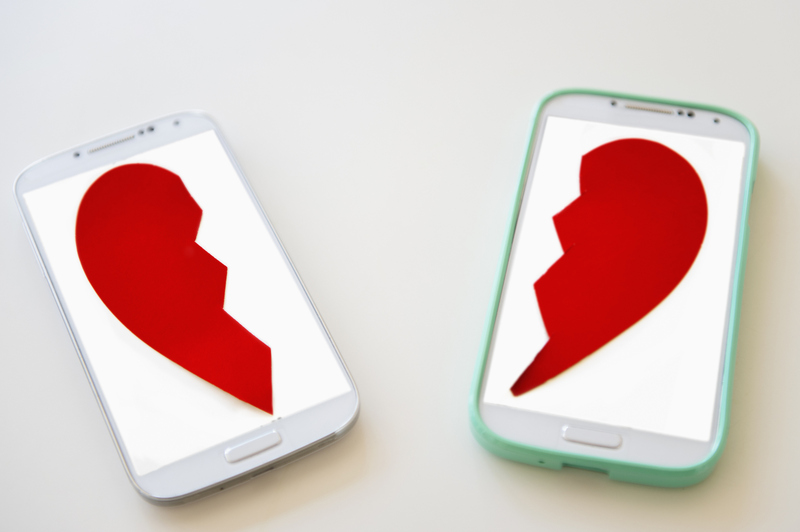 Immediately after a break-up, you’re likely to still be connected to each other on social media. Ettin said this isn’t a good idea. In time, you may be able to be friends. But don’t try to rush it. If you’re meant to be in each other’s lives, it will happen naturally. So don’t worry about burning bridges — look after yourself first. In the midst of a break-up, you’re likely to only focus on the good times you and your ex had. 5. You haven’t learned to let go. Humans are also a social species, said Eek, so you can find it hard to walk away from people, even if they’re wrong for you. 7. You’re afraid of being alone. “A study found that individuals who don’t like to be single, think with far greater intensity about their ex-partner than people who are better at handling being one their own,” he said. 8. You didn’t get closure. People can obsess over their exes for various reasons, Eek said, including the fact you’re unlikely to ever get closure. This can give people “an inability to understand a situation, and the feeling of helplessness in not having any power to change it,” he said. The truth is, when someone hurts you, you’re not going to like any of the reasons why it happened. So racking your mind for explanations isn’t going to help you in the long run. It’s best to try and let it go. 9. You can’t stop ruminating. On a similar note, sometimes it’s hard not to replay the past over and over in your head. 10. You’re grieving the potential that was in that relationship. 11. You’re mulling over regrets. 12. You’re going through repetition compulsion. Being familiar and being comfortable in a relationship are two different things. If something feels familiar, it means you’ve probably been through a similar situation before, whereas feeling comfortable with someone means being able to be yourself without fearing repercussions for your views, opinions, or feelings. Breaking up with someone who is familiar is hard because you don’t only have a bond to them, but to all the other people who were like them who came before. 14. You’re still in contact. Finally, you might be struggling to move on because you’re still in contact with your ex. This is a particularly bad idea if you’re trying to move on from a relationship that was abusive. Put up healthy boundaries in place, she said, or you’ll never rise above it and heal from the relationship.